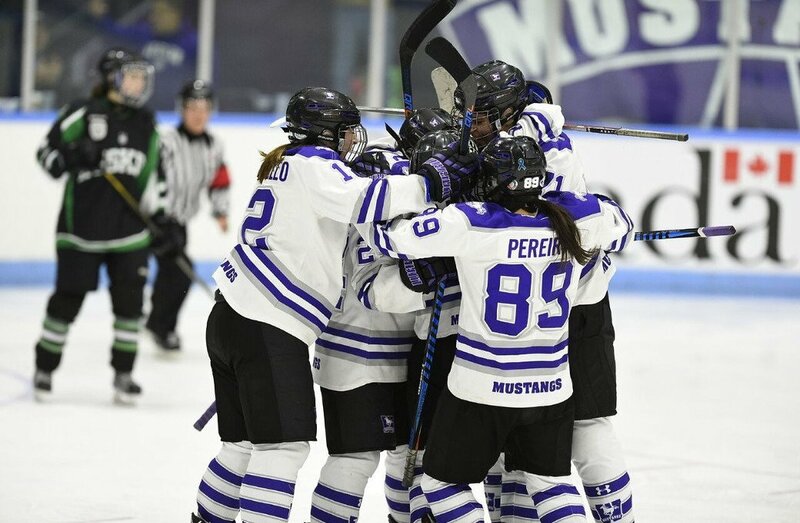 A pair of power play goals lifted the Western Mustangs to a hard-fought 2-1 win over the Saskatchewan Huskies in semifinal action on Saturday afternoon at the U SPORTS Women's Hockey Championship at Thompson Arena. The Mustangs move on to the gold medal game tomorrow, while the Huskies will battle for bronze earlier in the day. “Well, one-goal games aren’t abnormal to us in our conference; we have 28 of them,” said Huskies head coach Steve Kook. “We’re used to that, we’re used to playing right down to the last minute and things like that. So, from our squad I don’t think there was a lot panic-wise, I thought we played really well. 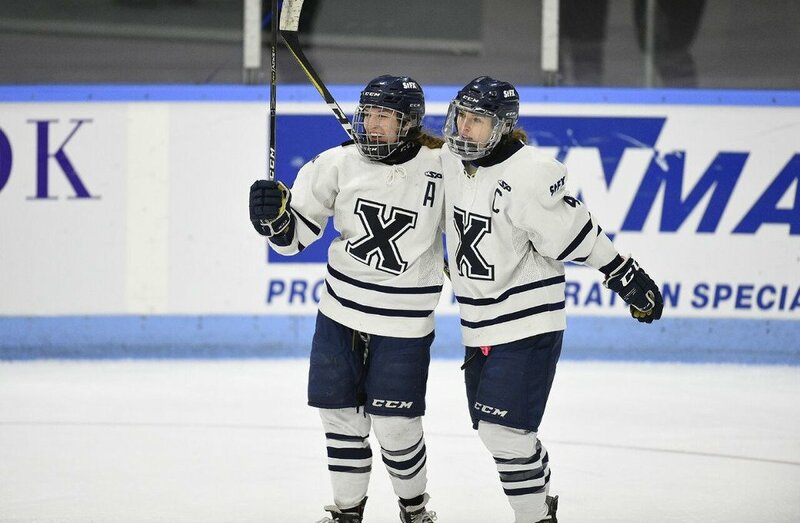 April Clark and Alyssa Chiarello provided Western’s two power play goals. Danielle Nogier netted the first of the night and Saskatchewan’s lone goal of the game. With two minutes left in the first period, the Mustangs fumbled with the puck in the offensive zone while on a power play. 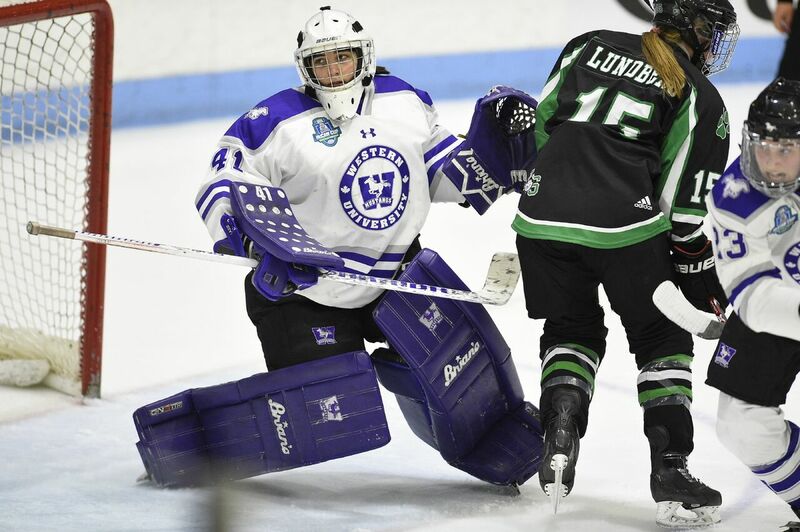 Nogier snatched it away and sped down the ice to go one-on-one with goaltender Carmen Lasis. The puck trickled through Lasis’ five-hole, giving the Huskies the lead on a shorthanded goal. Five minutes into the second frame, the Mustangs tied the score on the power play. 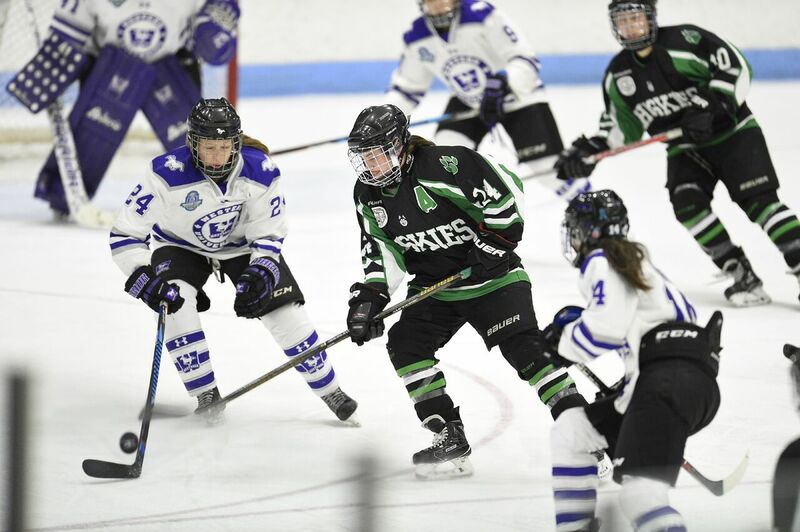 Clark sent the puck past Jessica Vance, converting assists from Rachel Armstrong and Amanda Pereira. Halfway through the period Western took the lead. 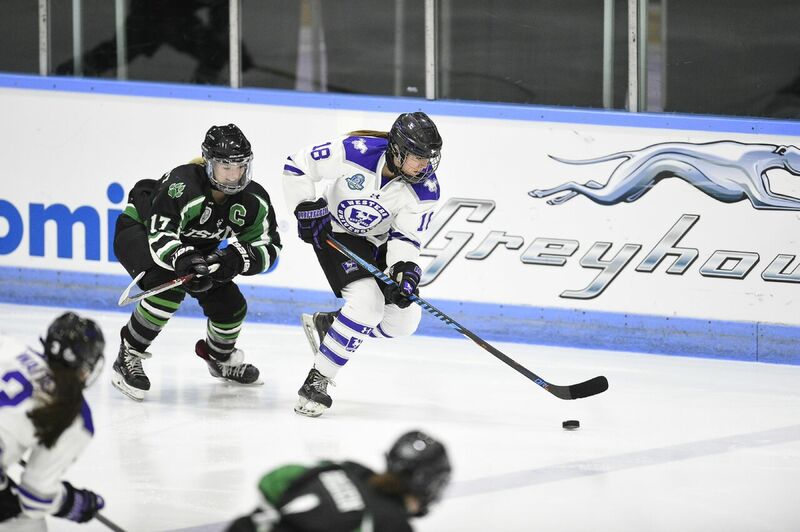 Emma Pearson took a shot from the blue line, and Chiarello jumped on the rebound to net the Mustangs’ second goal. The Mustangs were able to protect their 2-1 lead in the final frame, even though the Huskies pulled Vance in the last couple minutes and outshot Western 9-4 in the period. Western will play in Sunday’s final, which is set for 4:00 p.m. ET/1:00 p.m. PT, while Saskatchewan will play for bronze at 1:00 p.m. ET/10:00 a.m. PT.